Other information: Activities – Freshman football, Pee Dee Citadel Club, Varsity Boxing Team. Captain Manning had recently been reported missing in action in Germany. prominently connected throughout the Pee Dee section. Captain Manning is survived by his widow, Mrs. Manning; his parents, Mr. and Mrs.
Manning, and one sister, Mrs. W.S. Bethea. – Source: The State, 8 March 1945, p.11. killed in action in Germany. was a son of Mr. and Mrs. L.A. Manning of Latta. – Source: The Dillon Herald, Thursday, March 8, 1945, p.1,5. We ask for your help. It is our objective to have complete and accurate records for each of our Citadel Men. If you have information to contribute or correct this or any other record, please contact us or see support. Captain Jim Manning is my maternal great-uncle, so on behalf of all of my relatives, I’d like to thank everyone who played a role in establishing this fine website. 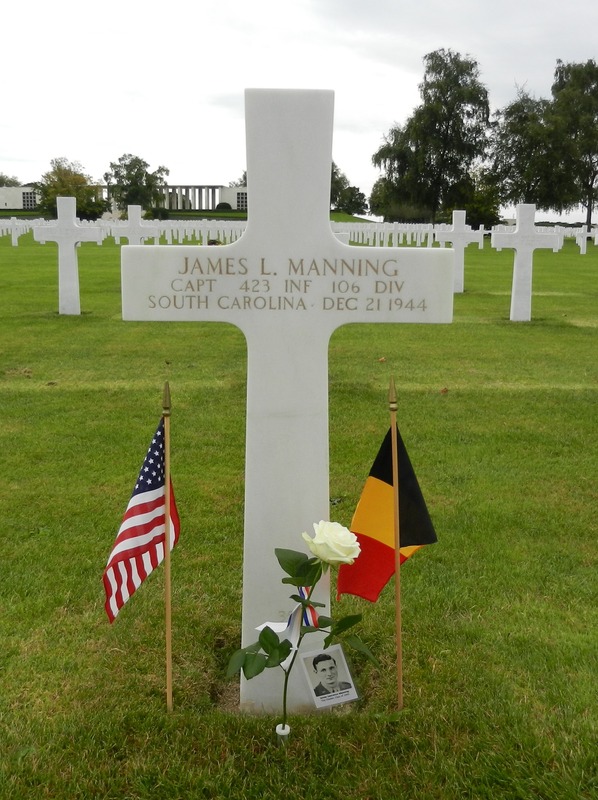 I’m happy to say that both Jim’s sister, Florence Bethea, and his nephew, Charles Bethea, have visited Captain Manning’s grave at Henri Chapelle in order to honor his memory. Likewise, a shadowbox with pictures of him in both his Citadel cadet and U.S. Army uniforms, which also contains his Silver Star and Purple Heart medals, still hangs on the wall in my grandmother’s (i.e. his sister’s) house–and she remains alive and well at 99 years old. We will never forget…and may they all rest in peace! Rob, thank you and God bless you and the Manning family. Capt. Manning’s sacrifice and the sacrifice of the Mannings shall not be forgotten. 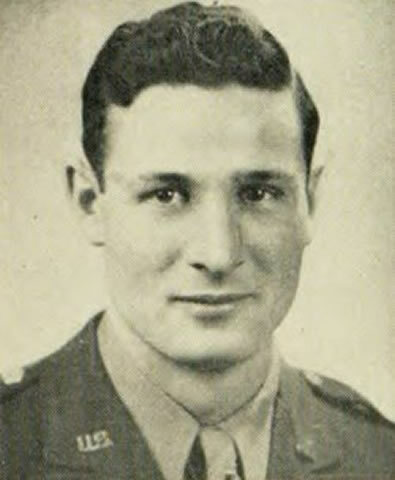 Charles Bethea, nephew of Captain Manning. Rob, that was a nice write-up.